How does a Consultant come alongside to help your brand, your product, your image, and online presence in the space of the internet? How does a consultant help your service gain access into the correct markets, grow awareness, sales, product placement and development of market trends? A consultant will help navigate through to the next level and help define the direction needed to go for greater success. Working directly with you to zero in on your biggest marketing challenge. Elizabeth Traub, works directly with your key person. She will work hard at getting your company, your brand, your service or product to that next level and in front important resources for purchase, growth, awareness as well deepen your market presence. Elizabeth will ask key questions about your company to determine exactly what direction will be best for that next growing step. Once an accurate assessment has been made, Elizabeth will work with your team or key person to cast a vision for growing and developing your company. 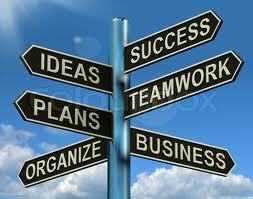 She will put together an action plan, a budget and then work alongside, as your Independent Consultant. In a time when markets are having to redefine their strategy, it’s important to bring along a person who can help you with that. Elizabeth can work directly with your company, your brand, and your people to develop a Social Media presence through strategic planning. Social Media is growing communities all over the world, and it’s time your company begin to navigate into the platforms that build your brand and a loyal community around your brand. If Your Dreams & Passions are to move forward- My Experience & Help can get you to the next level. you got a extremely outstanding web site, Sword lily I discovered it via yahoo. Thanks for finding me. Come back, visit often and say hello. Thanks, I am very new to this, so any feedback will fuel my intentions for good stuff to read. I like reading a post that will make men and women think. Also, many thanks for allowing for me to comment! Having read this I believed it was extremely enlightening. I appreciate you spending some time and effort to put this short article together. I once again find myself personally spending way too much time both reading and posting comments. But so what, it was still worthwhile! This is a very good tip especially to those fresh to the blogosphere. Short but very precise info… Appreciate your sharing this one. A must read article! Nice website! How did you get this layout? Thanks for an unbelievable put up, may read your particular others posts. many thanks for your ideas on this, I felt somewhat strike by this text. Merit again! You make a good moment. Portrays natures best by the great report here. I feel if more people thought of it like this, they’d have got a better time period have the suspend ofing the issue. I besides think thus, perfectly pent post! . Exactly where can i uncover your rss feed? Thank you an amazing post, would examine your others posts. i appreciate your ideas with this, I experienced a bit thump by this short article. Thanks again! You make a good moment. Got some wonderful report here. I believe if more people thought of it like this, they’d have a very better moment in time obtain the hang ofing the situation. Your website is very handy. Thanks so much for supplying enough beneficial subject matter. We have bookmark your web site web-site and will be without any doubt coming back. When once more, I appreciate all your do the trick as well as comeing listed here to talk with me. Could it be okay to write several of this on my small internet website only incorporate a 1 way link to the internet site? Send me an email and I will consider. It’s a shame you don’t have a donate button! I’d certainly donate to this brilliant blog! I suppose for now i’ll settle for bookmarking and adding your RSS feed to my Google account. I look forward to new updates and will share this website with my Facebook group. Talk soon! Perfect design! Where had you get that awesome layout? I was looking for this info, thanks! I think all of the helpful guides on this site are so great. Bookmarked, i’ll check back later! I wanted to send you the little word so as to thank you so much over again regarding the beautiful thoughts you’ve provided here. It was tremendously generous with people like you to provide openly what exactly most of us could possibly have sold for an e-book to generate some cash for their own end, primarily since you might well have done it if you ever decided. Those tricks as well worked to become easy way to comprehend most people have the same passion really like my own to know the truth more and more with regards to this problem. I’m certain there are many more pleasurable times ahead for people who see your website. I’ve been looking for something like this, thanks! I think all of this information are so amazing. Bookmarked, i’ll check back later! I’m impressed, I have to say. Really hardly ever do I encounter a weblog that’s each educative and entertaining, and let me let you know, you might have hit the nail on the head. Your concept is excellent; the difficulty is one thing that not enough persons are speaking intelligently about. I am very completely happy that I stumbled across this in my search for one thing regarding this. Intriguing blog post – thank you. Extremely entertaining and accurately composed blog post. Thanks! I absolutely love your blog and find many of your post’s to be exactly I’m looking for. can you offer guest writers to write content for you? I wouldn’t mind creating a post or elaborating on a number of the subjects you write with regards to here. Again, awesome web log! Pretty great post. I simply stumbled upon your blog and wished to say that I’ve truly enjoyed surfing around your blog posts. After all I’ll be subscribing for your feed and I am hoping you write once more soon! Aw, this was a really nice post. In thought I wish to put in writing like this additionally – taking time and precise effort to make a very good article… however what can I say… I procrastinate alot and by no means appear to get one thing done. ove the site will be bookmarking for future reference. Keep up the good work pal. Thank you a lot for giving everyone remarkably superb possiblity to discover important secrets from here. It is usually so pleasing and stuffed with fun for me personally and my office colleagues to visit your blog not less than three times in one week to see the new tips you have. And definitely, I’m always satisfied with all the eye-popping points served by you. Selected two points in this article are ultimately the most suitable we’ve ever had. There is noticeably a bundle to find out about this. I assume you made sure nice factors in options also. Hey filme gratis online hd, thank you for discussing your ideas on this web page. I wound up inside your blog right after researching physical fitness connected issues on Yahoo… guess I lost track of what I had been performing! Anyway I’ll be back once again within the long run to check out your blog posts down the road. Thanks again! Gotta be honest, I don’t agree with what you wrote. It’s an issue that goes much deeper than what you wrote. You brought up some interesting ideas that I never thought of. Excellent post. This is a really cool site. I have a similar one. Would you be interested in a link exchange? I would like to thank you for the efforts you have put in writing this blog. I am hoping the same high-grade website post from you in the upcoming as well. Actually your creative writing skills has encouraged me to get my own site now. Actually the blogging is spreading its wings quickly. Your write up is a great example of it. Very nice post. I just stumbled upon your weblog and wanted to say that I’ve truly enjoyed surfing around your blog posts. In any case I’ll be subscribing to your feed and I hope you write again very soon! I used to be very pleased to find this web-site.I wished to thanks to your time for this glorious read!! I definitely enjoying each little bit of it and I have you bookmarked to check out new stuff you weblog post.